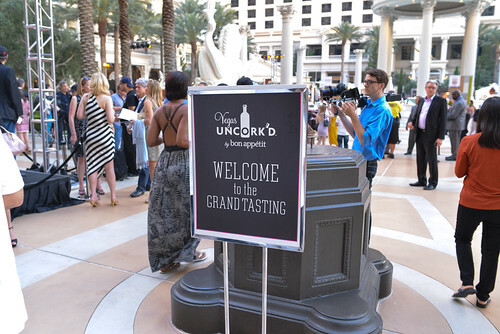 Each year, Vegas Uncork’d is one of the largest food and wine events on the West Coast. Las Vegas is an ideal place for one of these festivals, given its high concentration of notable chefs with a presence in the city. Granted, Las Vegas is rarely the location of their flagship restaurant, but a large-scale event such as this one really seems to bring in these chefs from across the country (and some internationally). 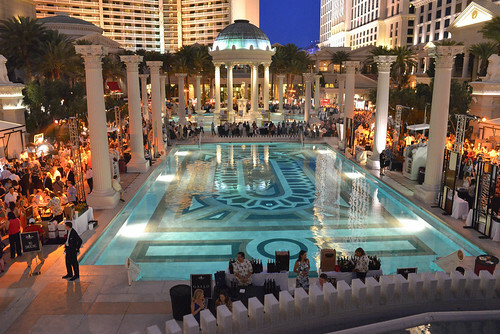 Vegas Uncork’d, presented by Bon Appetit, spans almost 30 individual, unique events. Intimate dinners and cooking demonstrations make up the bulk of the events, but the one I’ve gone to the past couple of years is the Grand Tasting (and my extended family has been going for many years now). This year, the all-you-can-eat/drink event brought together 100 different restaurants/wineries/spirits for a $225 admission. It’s definitely not cheap, but the food is typically of high quality and the event provides the unique ability to see and interact with many of these chefs (many of whom are elusive, hopping around between restaurants so often). Some of the bigger-name chefs I spotted this year (I’m sure there are others I missed) were Joel Robuchon, Gordon Ramsay, Bobby Flay, Michael Mina, Guy Savoy, Michel Richard, Francois Payard, Masaharu Morimoto, Hubert Keller, Graham Elliott, and Charlie Palmer. Yep, a lot.